Charles Leclerc left disappointed with himself after a mistake on his final qualifying lap left him fifth on the grid in Melbourne. Ferrari’s Charles Leclerc says he is disappointed with himself after doing a "very bad job" in qualifying for the season-opening Australian Grand Prix. 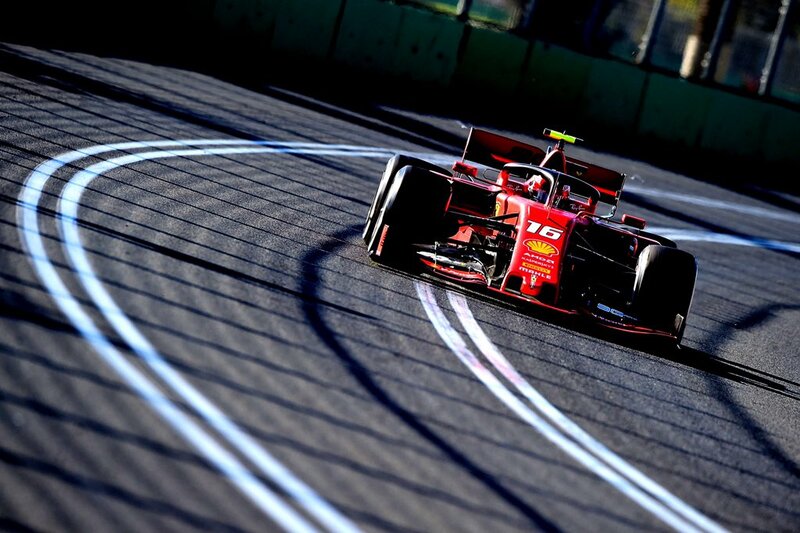 The 21-year-old had shown promise on his Ferrari grand prix debut by topping the opening segment of qualifying, but a mistake on his final flying effort in Q3 meant he had to settle for fifth on the Melbourne grid. Leclerc felt the top three was possible but was pipped by Red Bull driver Max Verstappen late on as he ended up nearly three tenths down on teammate Sebastian Vettel, who qualified third. “I’m not happy with myself today, I'm very disappointed with myself," Leclerc admitted. "I was not here when I had to be in Q3 and it’s all up to me. I did a very bad job in the last run of Q3 and unfortunately it showed itself in the lap time. "I just did a mistake in my first lap, I locked the front wheel in the first corner of the second lap and lost quite a bit of time and then overall the lap was pretty poor. I did some mistakes here and there. “It’s life and I will learn from it and I’ll come back stronger." Ferrari ended up seventh tenths adrift of Lewis Hamilton's pole time and Leclerc conceded the gap to Mercedes came as a "pretty big shock", adding the top two was "unreachable." “The gap to Mercedes I can’t really explain now," he said. "We will have to work very hard. On my side I did not do the job and there was definitely a bit of time but the top two was unreachable. Qualifying Analysis: Mercedes’ masterclass an ominous sign?